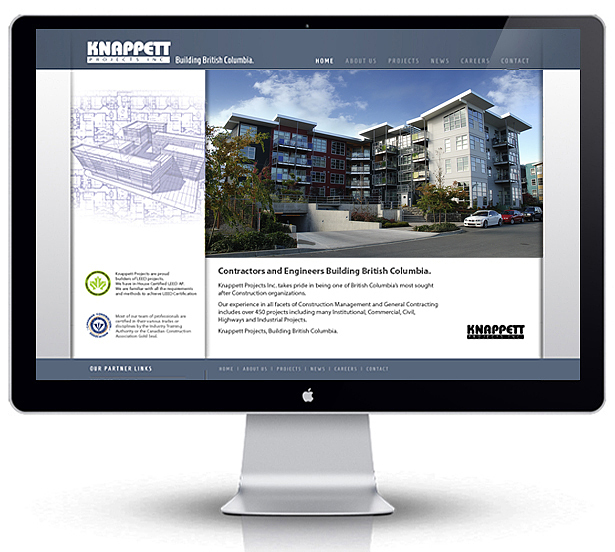 Knappett Projects Inc. is one of of BC’s most well known Engineering and Construction Management firms and we are proud to be the design studio of choice to develop Knappett’s new branded website. The design of the new website will highlight their many Commercial, Civil, Industrial and Institutional projects. Our reputation for designing clean functional and sophisticated industrial construction websites is growing fast, and we are proud to have designed the Knappett Project site in May 2012.